We offer a service which allows you to build a custom questionare and share it with your entire congregation. 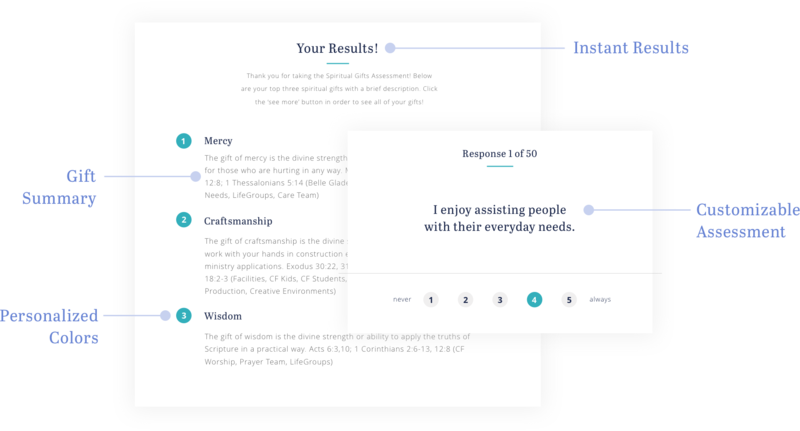 This quick assessment is a personalized and simple way to determine an individual's unique gifts. We try to make it as easy as possible for you! Just follow these simple steps and you are on your way to a functioning assessment! © 2018 Toast Mobile. All Rights Reserved.